There's honestly NOTHING worse than cold toes in the winter. 1. Slim winter boots that have nubuck leather and microfleece, preventing moisture from seeping into your shoes. Get them from Amazon for $84.50+ (available in sizes 5-12 and in four colors). 2. A pair of slip-on snow boots that are very lightweight, but have enough grip so you won't slip if there's ice on the ground. Get them from Amazon for $23.99+ (available in women's sizes 5.5-12 and in men's sizes 4.5-14 and in 13 colors). 3. A pair of lace-up boots with a microfleece lining you'll be blushing to put on in the morning when the weather's crappy. Get them from Nordstrom for $95 (available in whole sizes 7-10 and in pink and gray). 4. A pair of waterproof boots with "Omni-Tech" breathable seams to keep your toes comfy, but not overheated. Get them from Amazon for $44.99+ (available in sizes 5-11 and in gray and black). 5. A pair of leather booties that'll have you actually wishing for chilly temps and snow just so you can wear them more. Get them from Amazon for $69.97+ (available in sizes 6-11 and in 10 colors). 6. These lace-up hiker boots you can wear while you climb a mountain — or while you run errands, if that's more your speed. Get them from Target for $37.99 (available in sizes 5-12 and in four colors). 7. A pair of rain boots with a removable fur-lined insole that you can keep in or take out depending on what the temperature is. Get them from Amazon for $36.37+ (available in whole sizes 6-11 and in black, red, and grey sycamore). 8. A pair of low-cut Timbs with seam-sealed soles and made of waterproof leather so you can comfortably wear them in all weather and inside all day. Get them from Amazon for $58.81+ (available in sizes 5-11 and in 11 colors) or from Urban Outfitters for $130 (available in whole sizes 7-10 and in tan and black). 9. 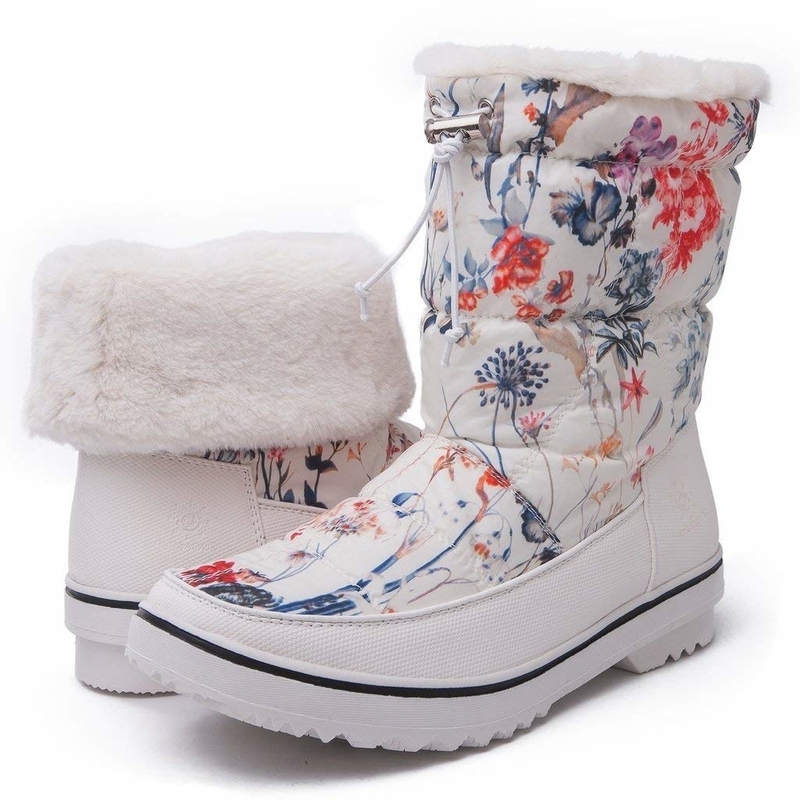 An insulated snow boot with more than 2,000 five-star reviews raving about how warm and comfortable they are. Get them from Amazon for $59.99+ (available in sizes 5-12 and in eight colors). 10. A sneaker boot that combines the two styles to create a unique look you can wear in weather up to -25 degrees. 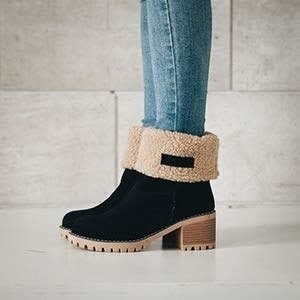 Get them from Nordstrom for $129.95 (available in sizes 5-12 and in four colors) or from Ugg for $130 (available in sizes 5-12 and in four colors). 11. A pair of booties to help you conquer everyday life when you would rather go back to bed and hide under the covers until summer. 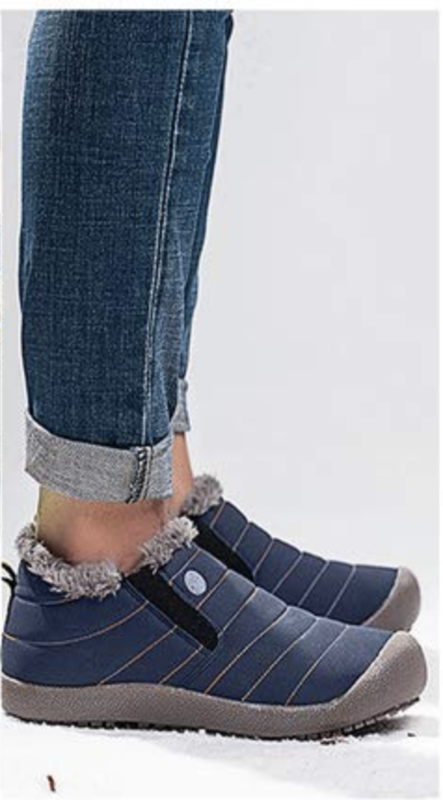 Get them from Nordstrom or from Sorel for $170 (available in sizes 5-11). 12. 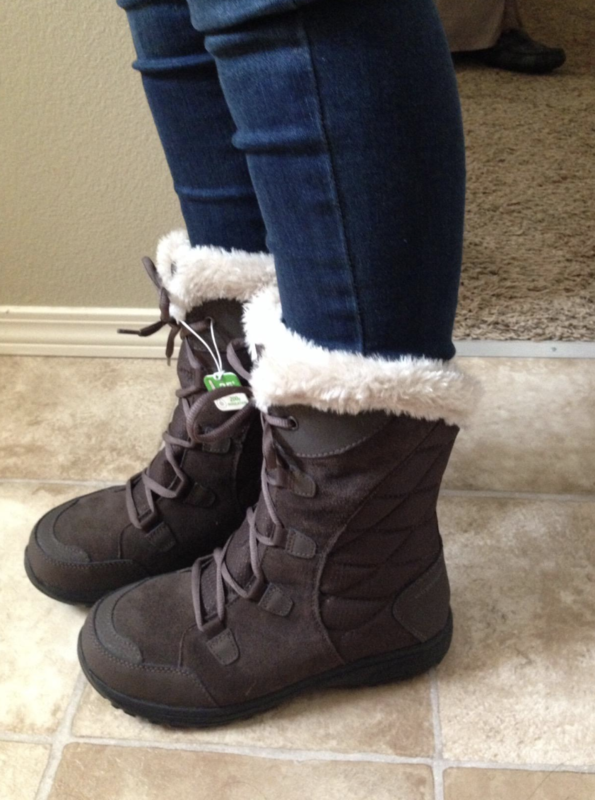 A pair of "Omni-Heat" boots that reflect your own body heat so your feet are always the perfect temperature. Get them from Amazon for $69.94+ (available in sizes 5-12 and in white and black). 13. A pair of Doc Marten combat boots so reliable you'll be wearing them for years. Get them from Amazon for $65.14+ (available in sizes 5-13 and in 31 colors and patterns). 14. A pair of foldable flap boots with a knitted sock lining to add some extra warmth around your ankles. Get them from Amazon for $32.44+ (available in European sizes 36-42 and in five colors). 15. A pair of duck boots you can wear in the snow but also as things start to melt and you have to slosh through puddles. Get them from American Eagle for $69.95 (available in whole size 5-11 and in olive and red). 16. 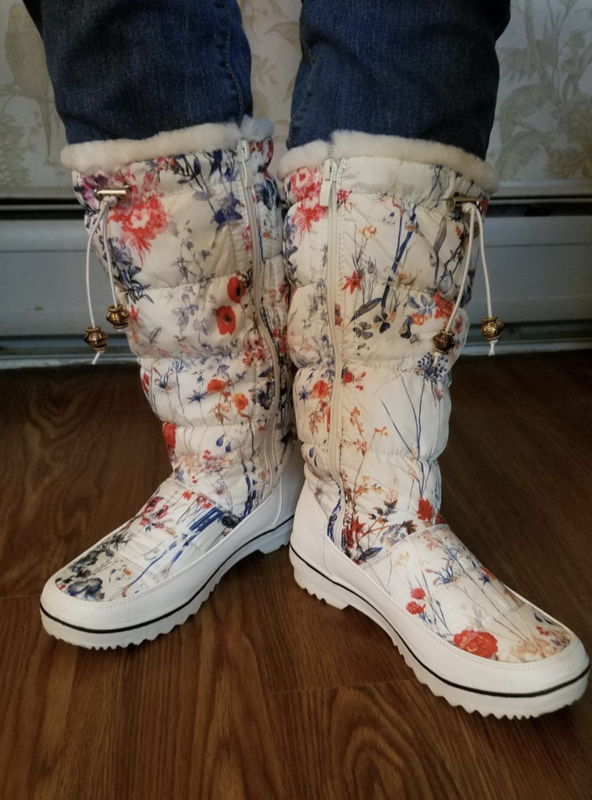 These floral winter boots to remind you that even on the worst of winter days, the sun will come out tomorrow and eventually bring some good weather along with it. Get them from Amazon for $28.99+ (available in sizes 5.5-11 and in nine colors and patterns). 17. A pair of Chelsea slip-ons that have a sheepskin-lined insole so you get the warmth of a winter boot with the look of a regular one. Get them from Amazon for $209.95+ (available in sizes 5-13). 18. A pair of boots with the fur that will have the whole club looking at you! Get them from American Eagle for $59.95 (available in whole sizes 5-11 and in gray, black, and tan). 19. A short insulated pair you'll wear the heck out of when the temperature gets merlot than you can handle. Get them from Amazon for $89.95+ (available in sizes 5-11 and in six colors). 20. A pair of Uggs so toasty that you won't care if people think they're "basic" because that just means that lots of people like them, and that's a good thing. Get them from Amazon for $139.95+ (available in whole sizes 5-12 and in eight colors). 21. A mid-calf waterproof boot you can wear despite the elements and then all day at work because nobody has time or energy to bring shoes to change into. Get them from Nordstrom for $139.90 (available in sizes 5.5-12). 22. An insulated Moon Boot ready to keep your feet warm in up to -20 degrees and give you a super-retro look. 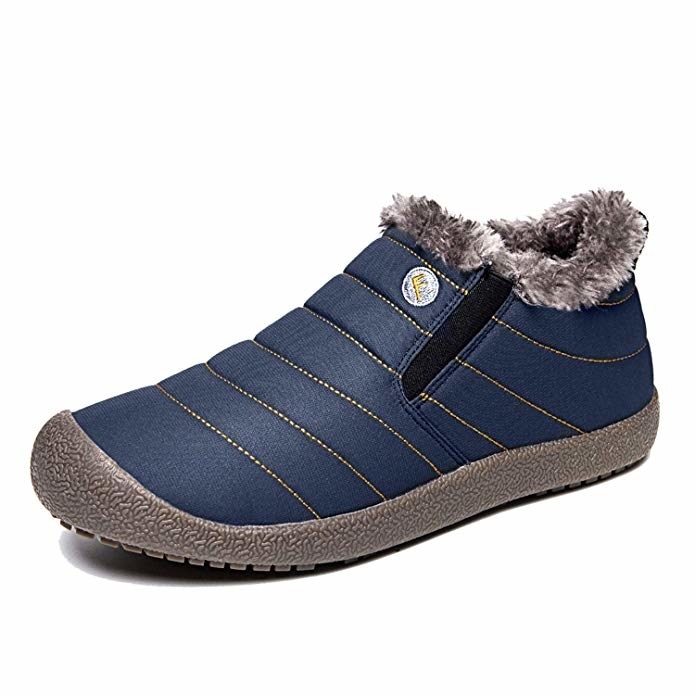 Get it from Amazon for $50.68+ (available in European sizes 35-47 and in 17 colors). 23. A pair of wedge booties because winter boots don't have to be big and clunky to be practical. These babies are cute and functional! Get them from Nordstrom for $200 (available in sizes 5-12). 24. Some waterproof boots you can wear during all your cold-weather activities — from sledding to checking out holiday lights to building a snowman. Get them from Amazon for $25.99+ (available in sizes 5.5-11 and in 22 colors). 25. A pair of tan winter booties with slip-resistant soles and faux shearling to handle every little thing winter throws your way. Get them from Amazon for $62.97+ (available in sizes 5-12, in narrow and wide, and in five colors and styles). 26. A chunky mid-heel boot that will give your winter boot style a fashionable ~lift~. Get them from Amazon for $12.99+ (available in sizes 4-11 and in five colors). Get them from Amazon for $139.72+ (available in sizes 5-12 and in light brown, dark brown, and black). 28. A pair of faux suede ankle booties so cute and so cheap you might as well buy two different colors! Get them from Amazon for $12.98+ (available in sizes 6–11 and in nine colors). 29. A pair of these wool-lined boots, because your feet truly deserve to shine always, but especially in the winter. Get them from Amazon for $25.99+ (available in sizes 6-11 and in four colors and styles). 30. A mid-calf waterproof boot just in case there's a huge snowstorm and you have to scrape the ice off your car. Get them from Amazon for $39.99+ (available in whole sizes 6-11 and in four colors). 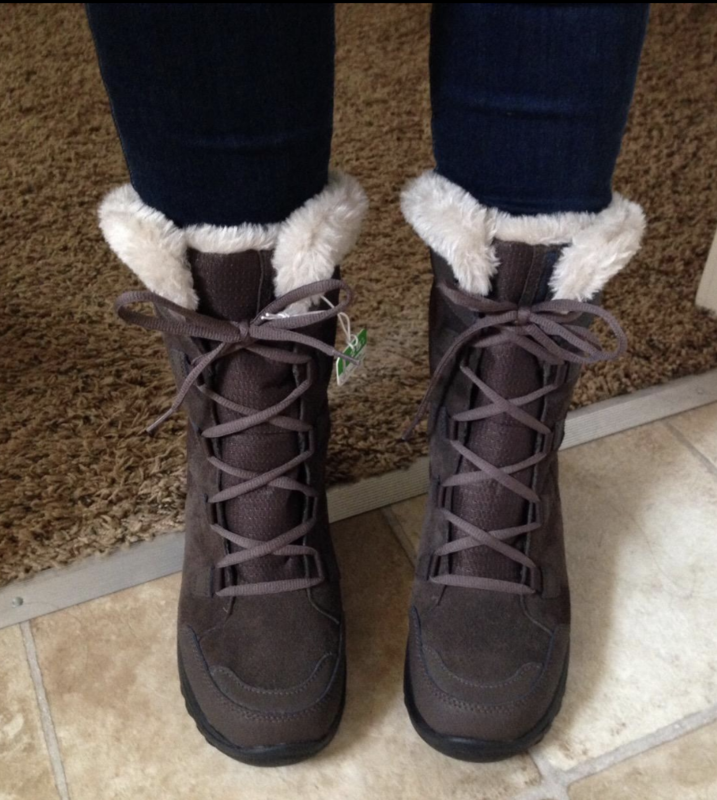 And now with these boots, just like Elsa, the cold will never bother you again!